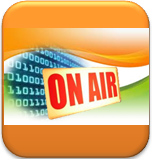 Enabling a Digital Life...: Digital Radio in India….? I wonder if Government of India’s allocation of INR 9.34 billion in the 11th plan towards digitization of State Radio Broadcaster, All India Radio make it onerous for the private FM stations to go digital and adopt the DRM standard? Digital Receivers: In radio, what if some private operators adopt DRM standard, while the others opt for HD standard. Will inter-operability be ensured or should the listener buy two sets of receivers? We can’t ignore the fact that such receivers cost upwards of $150, it’s a BIG number! It’s true that DTH or digital cable also calls for a similar investment by the viewer, but the similarity departs from the point that India is pre-dominantly a one TV set per household market and an investment in digital cable or DTH fulfills the entertainment needs of the entire household, but this may not hold true for radio. Number of Channels: Currently in each Indian city where FM is available, the number of FM channels does not exceed 9 (except A, B, C, D category cities), compared to over 500 television channels; hence an upgrade to digital cable or DTH is value for money. Unlike TV the aural nature of radio is another impediment for consumer investment in digital receivers. TV or DTH sales peak during any major cricket tournament but there is no such event that will create a sales peak for digital radio receivers. Subscription Revenue: Unlike TV, radio does not earn any subscription revenue. Advertising and sponsorship are sole revenue streams. A negative precedent and learning from internet, that consumers do not pay for undifferentiated content does not make a business case for investing in the upgrade to digital radio transmission. FDI Limit: The current FDI limits at a low of 26% in private FM, limits infusion of global media competencies, tools, knowledge and practices. Unless the FDI limit is revised upward, the primary focus of operators will be to achieve operational efficiencies and profitability rather than experiment with new technologies. Impact of Radio Digitization on Localization: Though one may argue that digitization presents an opportunity to private FM operators to drive localization vide data services, thus pushing the share of local advertisers from 40% to 80% (the norm in global markets), it does not seem to be a great proposition. With the exponential growth in mobile telephony, India has leapfrogged many technologies (pager is a classic example). The thriving Mobile Value Added Services industry ensures that hyper local search and content is available at few cents on weekly / monthly subscription plans. The success of any technology does not lie in its superiority over its earlier versions, but lies in mass adoption of the same and a favorable regulatory climate. Though in mature radio markets, it is often quoted that HD or DRM is at a tipping point, the sound of tilt of scales is something which the Indian radio broadcasters will be listening carefully. Hi Ram, thanks for the kind comment. Let me know if you are looking for something in particular. As you mentioned what is the differeence between DRM and HD standards? Will the digitisation lead to online streaming on internet ,or it is something else?